Rivet Nut Gun Kit Rivnut Setting Tools Nut Setter Tool Hand Blind Riveter 17"
Listed is (1) Universal Tool UT8720T 1/4" Pneumatic Die Grinder. Works Great. MPT Uni Co Air Grinder Micro Die Abrasive Tools Pneumatic. Condition is Used. Shipped with USPS Priority Mail. 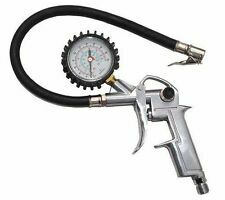 This handy air rivet gun will make those riveting projects a breeze and save your hands from tiring out! Also note that monitor settings may vary from computer to computer and may distort actual colors. Trending at C $53.42eBay determines this price through a machine-learned model of the product's sale prices within the last 90 days. Model: IR125. Each needle 1/8" (3.2 mm). Standard duty. our error. We are not an authorized dealer of this product and any warranty included with the product may not be honored by the manufacturer. Tungsten Ergonomic Bucking Bar BB-5: 1.67 lbs, Notched Side 3/4" x 1.5" x 2.5"
High quality ergonomic bucking bars designed to prevent repetitive motion injury while riveting. Enjoy easier, better riveting that studies show will result in less wrist strain and fatigue. Higher density reduces vibration and kick back while riveting. 1/2In square drive. We are not an authorized dealer of this product and any warranty included with the product may not be honored by the manufacturer. Doing that is against U.S. and international laws. Walter 8F602 SS Wheels 25 PK ! NEW ! Walter 10Q163A30 Chop Cut 10 PK ! NEW ! The Bostitch® MIIIFS is precision engineered for high-speed fastening of hardwood flooring. Its legendary durability and unparalleled performance have long set the standard for professional flooring installers around the world. Fits 0.9 & 0.6HP tools with ERGO plastic body. precision tool made in USA. 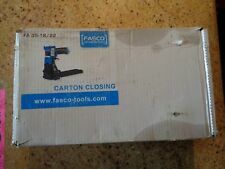 Aircraft tools JIFFY 90 Degree Angle Drill..2000 RPM 1/4-28 bit . this tool works properly was oiled. It had some marks and they were removed, get exact as shown in the photo Shipped with USPS First Class Package. Refurbished with a OEM service kit. New gear set, blades, grease, bearings and seals. This is a top quality professional grinder and not your regular throw aways. 1/4" collet, 20,000 rpm. 3M 28771 Cutoff Wheel Tool 4" Dia. Pneumatic Power 1 HP Motor 19000 RPM USA. 3M 28771 cut-off wheel tool provides 1 hp. Always consider the length of any product when purchasing an abrasive tool or accessory. Fits 0.9 & 0.6HP tools with ERGO plastic body. precision tool made in USA. left hand adapter thread. Removable side handle furnished with tool. Disc Sander. Features 97 degree head for decreased wrist strain. Spotnails TS6825V. 33a or dsspo ts6825V. Spotnails 6800 Series. Vinyl Siding Stapler. See 2nd Picture. Lightweight and Compact. 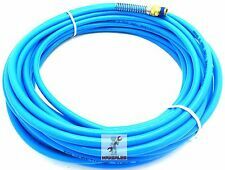 Senco M Wire Series. Includes: Carrying Case, Safety Glasses, Tool Oil. 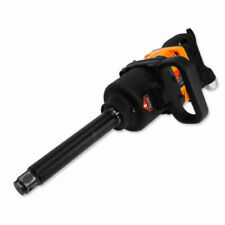 MAX Series Air Angle Grinder The 3445MAX is the perfect choice for high performance material removal. This 4.5" air angle grinder combines a unique internal governor with a powerful 0.88 hp motor, to give you a best-in-class power to weight ratio grinder that will maximize your rate of material removal. Walter 11R072 Tough Cut 25-PK ! NEW ! F/R switch. We are not an authorized dealer of this product and any warranty included with the product may not be honored by the manufacturer. Your item will be. Doing that is against U.S. and international laws. This is a very nice used APT straight pneumatic die grinder. It works great. It turns at 20,000 RPM's. Industrial quality, made in the USA. These are a case of 18 ga. Narrow Crown Staples made by Unicatch. This staple is made to fit 1/4" Crown 18 Gauge Galvanized Staples. L-19- 3/4" GALVANIZED STAPLES. 5,000/Box 12 Boxes/Case. Pretty much all the stapler guns. This Air Riveter 3/16” is fast and rugged ideal for industrial, production, and personal use. Air relief valve protects from overloading ensuring a long life span, durability, and dependability. Includes 4 nose pieces. Corded or Cordless or Air: Corded. Product Type: Mini Angle Grinder. Volts: 110 volts. 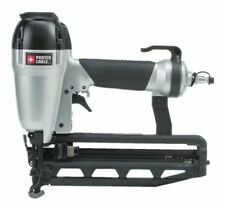 Category: Housewares, Tools, Power Tools, Tool Grinders. Maximum Speed: 13,000 rpm. Grinding Wheel Included: Yes. Walter 8F702 Cutter Wheel 25 PK ! NEW ! Widely used in polishing and polishing of marble, granite and other stone materials. 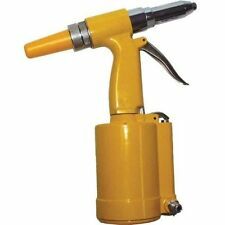 1 set of 4" Pneumatic Grinder (Show as picture). Reasonable grip design to improve work comfort. No-load speed: 4300 RPM. Walter 12E647 Bench Grinding Wheel ! NEW ! The grinder is used and has an engraving but still in good condition. Trending at C $145.74eBay determines this price through a machine-learned model of the product's sale prices within the last 90 days. Made in USA, this was in my dads stuff, runs good all functions wor properly, 5/8 11 thread. 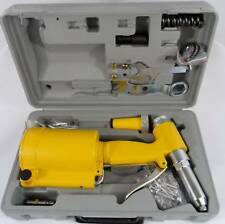 🛫 AIRCRAFT TOOLS Ingersoll Rand Cyclone Grinder CD200 w/ Wrench LOWEST PRICE! !